The oral arguments mark a milestone in the yearslong dispute and come years after the matter first went to court in Lincoln County. 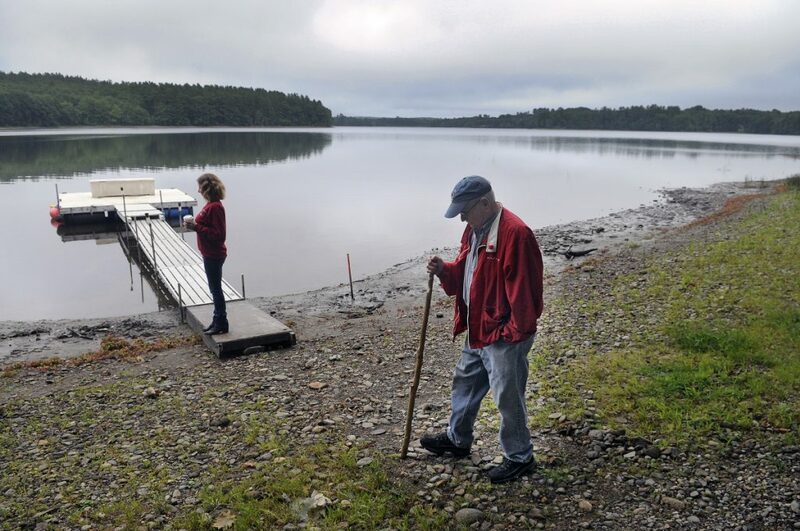 WISCASSET — More than a dozen people watched Tuesday as attorneys on either side of a water level dispute made their cases in Lincoln County Superior Court, marking a milestone in yearslong dispute over the state of the dam in North Whitefield that impounds Clary Lake. Both sides will have to wait for Justice Daniel Billings’ decision in the matter. 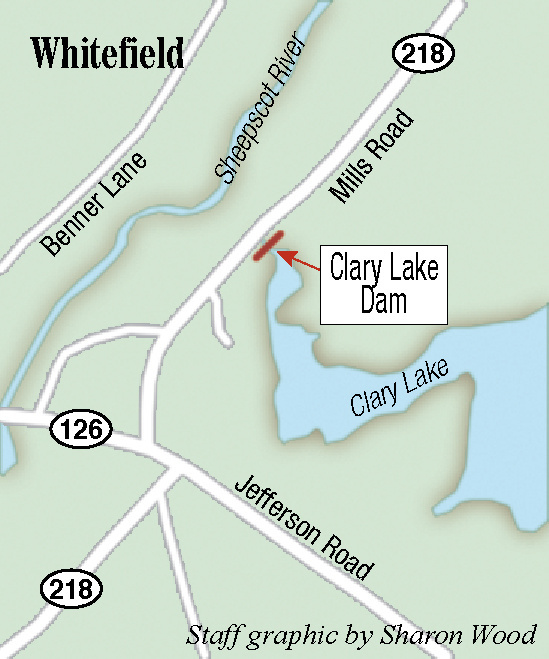 AquaFortis Associates LLC, which owns a mill building associated with the Clary Lake dam, is seeking to reverse or change the water level order issued by the state Department of Environmental Protection four years ago through an appeal. Timothy Connolly, an attorney with Preti Flaherty representing AquaFortis Associates, argued the department has overstepped its authority in imposing the order. “This water level order must be vacated or remanded because the (DEP) has no authority to order repairs of the dam, or coerce repairs through the threat of fines,” Connolly said. The reason, Connolly said, is that the dam falls under the authority of the Mill Act, and the DEP failed to consider that in taking the action it did. What’s more, he said, the water level order is a regulatory taking without compensation because it deprives the dam owner of its right to use the dam for its own benefit. Scott Boak, an assistant attorney general appearing for the Department of Environmental Protection, said the AquaFortis Associates argument is without merit because the Mill Act is not at issue. Complaints about the dam and the Clary Lake water level date back to the early 1990s. But when the order was issued in 2014, Paul Kelley, the manager of the Pleasant Pond Mill, in conjunction with AquaFortis Associates LLC and its manager, Richard Smith, appealed the order in Lincoln County Superior Court. The issue went to mediation, which ended in May 2015 without resolution. In September 2015, two state lawmakers urged the DEP to take action on the water level order, and the DEP issued a notice of violation against the parties for failing to meet the water level order and failing to obtain DEP approval for a final water level management plan, among other things. Two years ago in January, Pleasant Pond Mill was dismissed as a party to its own appeal. It had been administratively dissolved in August 2014 and therefore had lost its standing. Only days later, outside the same courthouse where Tuesday’s arguments took place, a foreclosure and public sale of the Clary Lake dam was held, but the results of the auction remain unclear. Fredrick Duncan, of Whitefield, handed a sealed envelope to the auctioneer, the only apparent bid. Arthur Enos, who had sold the dam to Pleasant Pond Mill a decade ago, assigned the mortgage to another entity, Medius L3C, a low-profit limited liability company. Enos declined to give any information about the transaction to the Kennebec Journal, and little is known about Medius L3C, which orchestrated the foreclosure and the sale. “Medius” is a Latin word that means the middle or third finger. At the end of 2017, Medius L3C was administratively dissolved after two years of existence for failing to file an annual report with the Office of the Maine Secretary of State. It can transact no business other than to dissolve itself. And in recent months, Kelley has filed for bankruptcy protection both for the LLC and himself, citing debt that includes hundreds of thousands of dollars in legal fees for the LLC and himself, an expected financial penalty from the Department of Environmental Protection and expected damages from a lawsuit filed by Clary Lake property owners Robert Rubin and Cheryl Ayer against Kelley, Pleasant Pond Mills, Smith and AquaFortis Associates, seeking damages for the harm they say has been done to their property by the lowered level of Clary Lake. Whitefield selectmen continue to waive foreclosure of the dam for unpaid property taxes that date back to 2013. They say they have taken that action on advice of the town’s attorney.